NEW EXTERIOR PAINT! Single-story 3 bedroom/ 2 bath home in Corta Bella offers fresh paint and new carpeting throughout. The kitchen offers new stainless-steel appliances, ample counter space with an island, and opens into the dining and living room. The master boasts an attached ensuite with dual vanity, separate walk-in shower and soaking tub, and large walk-in closet. In the backyard, the covered patio opens to a low maintenance desert landscaped space, perfect for pets for hosting friends and family. 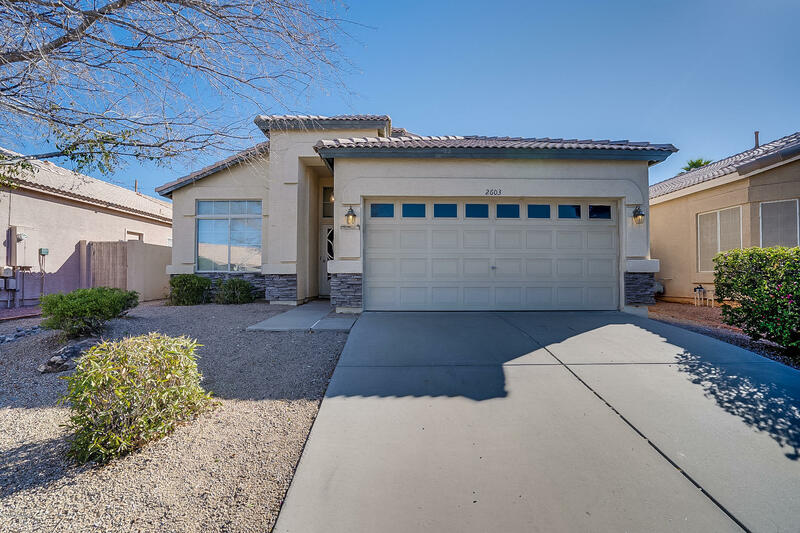 Close to the Red Mountain 202 freeway, this home is close to shopping and dining. This home will not last long!